Refer us a friend or family member who has a hearing problem. 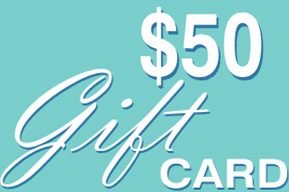 Once they qualify either for a free hearing aid (through government scheme) or buy one from us, the referrer will receive $50 Gift Card. Take our free self-assessment questionnaire to understand if hearing loss is affecting your life. Sign up to receive our FREE quarterly newsletter, which will cover new technology and research in hearing health. Global Hearing provides a broad range of hearing aid services to the community. Conveniently co-located within a medical centre, Global Hearing is able to offer a range of assessment services under Medicare eligibility. For those who require further assistance, we offer boutique hearing aids evaluation and dispensing clinic for both private and Office of Hearing Services (OHS) eligible pensioners and veterans. We are also accredited to provide hearing aid services to WorkCover eligible clientele. Paediatric assessment referrals are most welcome. At Global Hearing we are keen to explore each patient's unique circumstances to better understand their concerns. This then enables us to craft appropriate recommendations in seeking a resolution of the particular difficulties and giving the right kind of hearing aid services. For all the hearing aids users, it is important to know that Global Hearing is a privately owned and an independent practice. This means that you experience a wider choice of brands to select your desired hearing aids, one that matches your lifestyle to fulfil your requirements, rather than higher margins for the disguised factory outlets. An independent practice enhances your capacity to receive the best value for money and gives you a better range of choice. Global Hearing has a fully operating clinic in Lower Templestowe. This locations offers friendly services and expert advice for your hearing care.